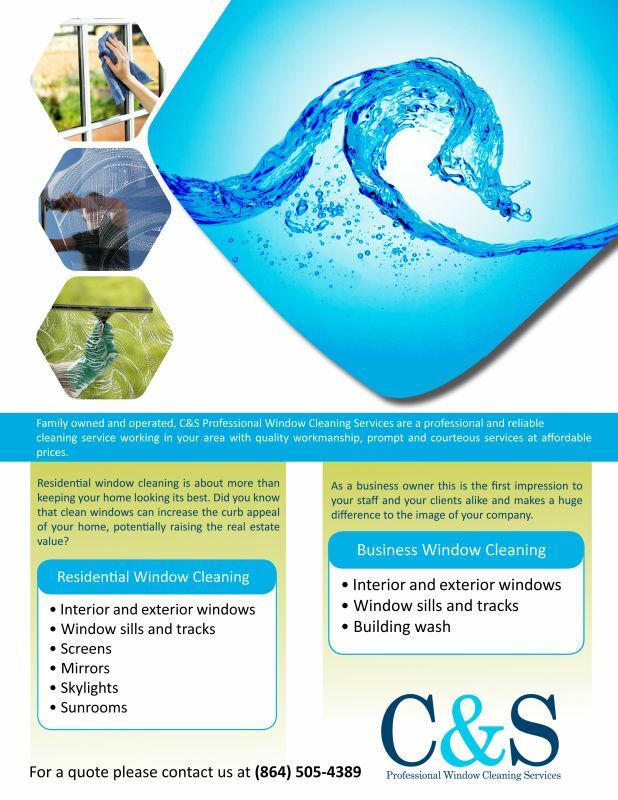 C & S Professional Window Cleaning Services is a family-owned and operated window cleaning company. We offer professional and reliable cleaning services with quality workmanship and prompt and courteous services at affordable prices. Residential window cleaning is about more than keeping your home looking its best. Did you know that clean windows can increase the curb appeal of your home, potentially raising the real estate value? As a business owner, this is the first impression to your staff and your clients alike and makes a huge difference to the image of your company. Feel free to contact us for all your window cleaning needs. Do you have a party coming up at your house and are in need of your windows looking up to par? Contact C&S Professional Window Cleaning Service to work on your home with prompt service and excellent workmanship. We will have your home looking beautiful! Fixr has validated the email provided by C & S Professional Window Cleaning Services. Fixr has reviewed the content provided by C & S Professional Window Cleaning Services to match our community guidelines. C & S Professional Window Cleaning Services has been rated with 26 experience points based on Fixr's rating system.